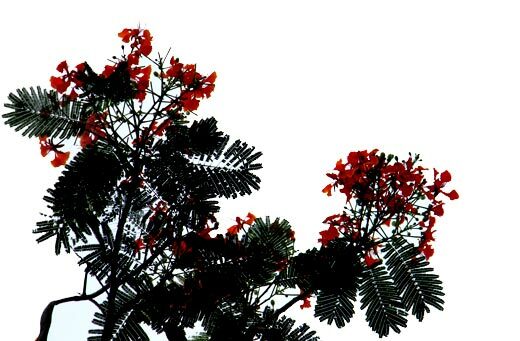 Since I have been in this eastward land (2 months), the Gulmohar has been in flower. A member of the pea family; brought here to India from Madagascar. And then one day I almost freaked because I finally saw it, the magical unicorn I yearned for years prior. But her well equipped man got in the way of us. I asked the equestrian gods for a blessing and powers they bore indeed. Here I landed. The great Himalayas. There I saw my first proper fungi, some sort of Chicken of the Woods, I couldn't bear to touch the thing because of the beautiful colors it was producing. And my brother was with me, bearing beautiful curls of the hair. And then I took a very long, long boat ride home. And smiled.